Everyone is excited because “pumpkin spice latte” is back! Luckily it’s just a seasonal thing because the ingredients that come with a Grande Pumpkin Spice Latte are not something you want to put into your body on a regular basis. Did you know it has 50 grams of sugar? Get this…there isn’t any real pumpkin in it either, only artificial coloring, carrageenan (linked to cancer and intestinal issues), boat loads of caffeine, and preservatives. Don’t let that ruin your day. 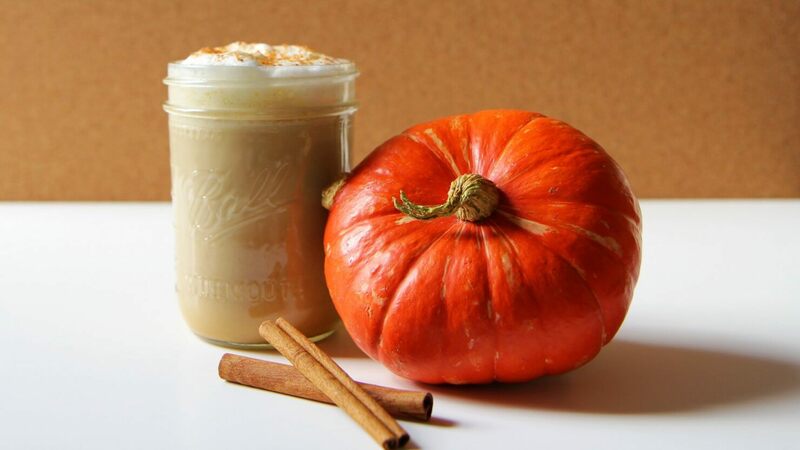 Here is a pumpkin spice latte recipe that isn’t full of chemicals and sugar that you can make right at home! While your brewing your coffee, put the pumpkin puree and your sweetener of choice into a pot that’s set on low/medium heat. Stir the mixture while slowly pouring milk into the pot for 4 minutes (or until the mixture is well dissolved and steaming). Pour the fresh (or microwaved coffee from this morning) coffee into a mug and then the pumpkin/almond milk into the mug. Stir well, then add spices on top! Tip: You can put all the ingredients into a blender and then pour into a mug to make it frothy!